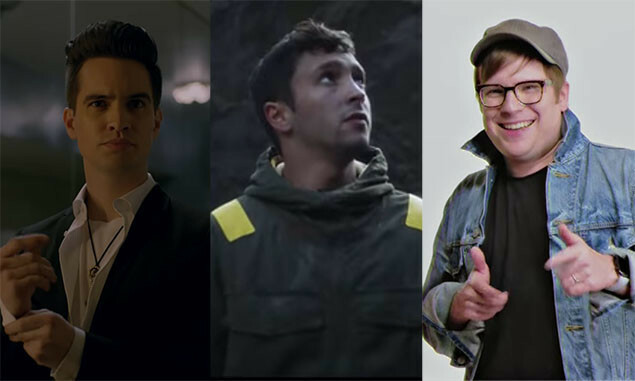 2018 was a hell of a year for music videos, but which one is the most viewed? Well, we took ourselves over to YouTube and compiled 20 of them for your visual pleasure. We've entered a new year. A clean slate. A year of oppotunities. But before we get all the way into 2019, let's look back at the biggest videos of the past 12 months. Never has getting ready for school been this eventful. Throw in some casual cannibalism and an ice cream van dealing out guns and you've got a modern day classic. One of the best covers of a cover that 2018 has produced, Neck Deep managed to recreate the original Natalie Imbruglia video frame for frame. Nicely done lads. Those of a nervous dispostion, cover your eyes. Aside from being an absolute behemoth of a tune, Beartooth get covered in a lot of blood here. Rock and roll bands used to all be made up of skeletons in suits you know? Just watch Top Of The Pops and you'll see. Anyway, Gerard provided us with a Halloween mainstay for years to come, and we thank him for that. A huge eyeopener for us all and a statement of intent from As It Is, 'The Stigma' continues to be a very important song indeed. Remember 'Thnks Fr Th Mmrs'? If the answer is yes you obviously loved this homage. If the answer is no, where have you been for the last 11 years? 2018 has been massive for Joe, and it started with this slice of brilliance. We haven't been able to stop thinking about that turtleneck all year. The past was very hectic and nowhere was more hectic than in the IDK based corner of the world. Imagine if bands were actually like this today. Atmospheric, metaphorical and heartbreaking all in equal measure, ATC really hit the feelings with this one. The most memeable and self aware video of 2018. Anyone still using their Patrick Stump and plates of shrimp that they bought? For the first taste of their new era, ONE OK ROCK made an impact by shining a light on an all too common issue. Dramatic and beautiful in all the right places. A glimpse into the workings of AA and how they have reached the point they are at all packaged in a beautifully shot and epic video. Absolutely wonderful. A day in the life of a legend. This year has been absolutely massive for Mike Shinoda hasn't it? A story of brotherhood, friendship and love, told through the form of some Halloween spookiness. Proper warm and fuzzy stuff. The burning car. The shaving of Tyler's head. The Bishop stealing him away at the end. So many questions answered but even more posed in the sequel to the 'Trench' trilogy. In the year of 2018, did you for one second think that you would be seeing a puppet version of Brendon Urie getting whipped and drinking to excess? Nah, us neither. Never has anyone fought off this many assassins while still looking this smooth. Also SO MUCH BLOOD. THE HANDSHAKE. NOTHING ELSE MATTERS HERE BUT THAT HANDSHAKE. Seriously, how beautiful are all of the videos that Pilots have released? Where it all began for the 'Trench' era. 50 millions people have been introduced to Dema, seen Tyler get chased by a bishop and stand on top of a burning car. Iconic in every sense of the word. Record breaker, global phenomenon and everything in between. No other video has been watched as much this year. We salute you, Brendon Urie.